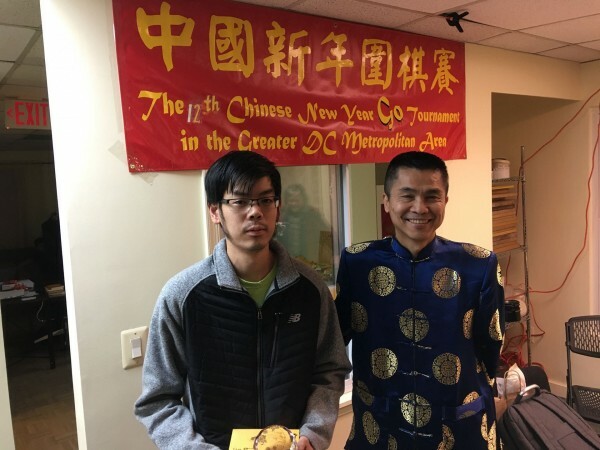 The deadline for the 2019 International Collegiate Go Tournament is fast approaching. Hosted by the Ing Foundation, the tournament will be held at the University of Sydney, in Australia this summer. 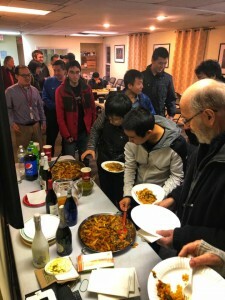 The event runs July 7-13 and is open to any current, future, or recently graduated college (both undergraduate and graduate) student who will, or has attended school in the year 2019. All costs related to room, board, tours, and travel during the event will be covered by the Ing foundation. The student is responsible for getting to and from the tournament site (both international and domestic travel costs), and for any personal expenses. “Wow finally a historical match! I’m so glad right now,” said Alperen Yaşar. “I love the AlphaGo reviews (what I can understand of them) and I love when Michael reviews his own games,” said Synecdoche09, “but I think historical games are my favorite series on here.” “I’d love to hear more Go history!” adds Bill Dugger. Murakawa to challenge for Judan: The play-off to decide the challenger to Iyama Yuta for the 57th Judan title was held at the Nihon Ki-in in Tokyo on January 31. It matched Takao Shinji 9P, who was aiming at a comeback as Judan after a gap of four years, and Murakawa Daisuke 8P (right) of the Kansai Ki-in, who was aiming at making his second successive challenge. The two players seemed to be evenly matched, as past results were 6-6. Murakawa drew black in the nigiri and won the game by resignation after 173 moves. He will be hoping to improve on his performance last year, when he was unable to take a game off the titleholder. He did beat Iyama 3-2 in the 62nd Oza, which so far is the only top-seven title he has won. 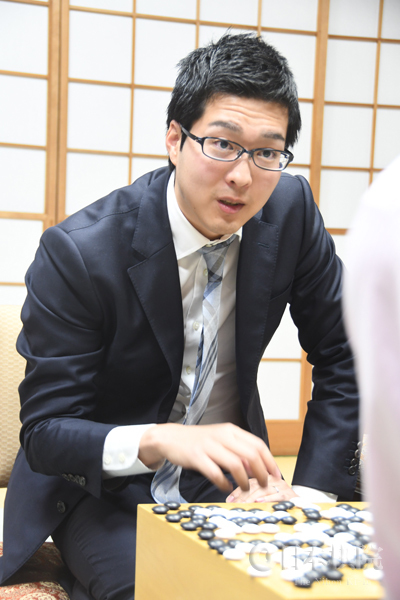 He commented that his style has changed since last year, through his study of AI go. The title match starts on March 5. 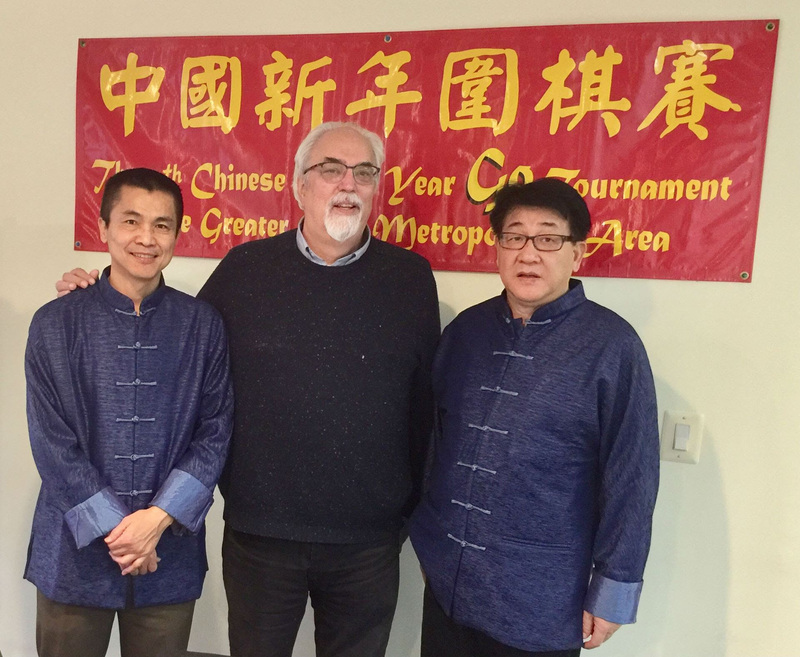 Park wins NY’s Cup: The 7th CCTV New Year’s Cup is an invitational tournament founded by the Chinese TV channel to commemorate the Chinese New Year. This year the world’s number one and number two, Park Junghwan 9P of Korea and Ke Jie 9P of China, were joined by Shibano Toramaru 7P of Japan, who was standing in for Iyama Yuta, who was too busy with title games to take part. The tournament is an irregular knockout, with the players drawing lots to decide who plays in the first game. The loser of that game meets the third player, with the winner going on to the final. The loser of the second game is the only one who doesn’t get two chances. Park, who in recent months, has regained his former position as the world’s top-rated player, stumbled in the opening game but resurfaced in the final and took revenge. Games are played by the NHK format, and first prize is 800,000 yuan (about $118,000). Park also won this tournament last year. (Jan. 31) Ke (B) beat Park by 1.5 points. (Feb. 1) Park (B) beat Shibano by resig. (Feb. 2) Park (B) beat Ke by 7.5 points. Honinbo League: No one has an unbeaten record in the 74th Honinbo League, so six of the eight players are probably still in contention. Having played one more game and scored 4-1, Ichiriki Ryo 8P is doing well, but of the three players on 3-1, two are ranked higher than he is. Those two, Yo Seiki 8P and Shibano Toramaru 7P, will clash in the 6th round in March. (Jan. 31) Ichiriki Ryo 8P (W) beat Anzai Nobuaki 7P by resig. Meijin League: Iyama falters: With only two and a half rounds out of nine in the 44th Meijin League played, it’s early days yet, but it’s beginning to look tough for Iyama Yuta to become the challenger. In his third game, with new star Shibano Toramaru, he suffered his second loss. One consolation for him, though, is that only one player is undefeated. That’s Kono Rin, who will play Suzuki Shinji in his third-round game. If the other members of the league cooperate by beating each other, Iyama may yet have a chance. (Feb. 7) Shibano Toramaru 7P (W) beat Iyama Yuta by 1.5 points; Hane Naoki 9P (B) beat Yamashita Keigo 9P by half a point. Kisei: Yamashita evens score, Iyama takes lead again: The second game of the 43rd Kisei title match was played at Yumeminato Tower in Sakaiminato City, Tottori Prefecture, on January 21 and 22. The name of the tower translates as Dream Port Tower; it is a sightseeing facility with an observation deck (details can be found on the Net under the English or the Japanese name). 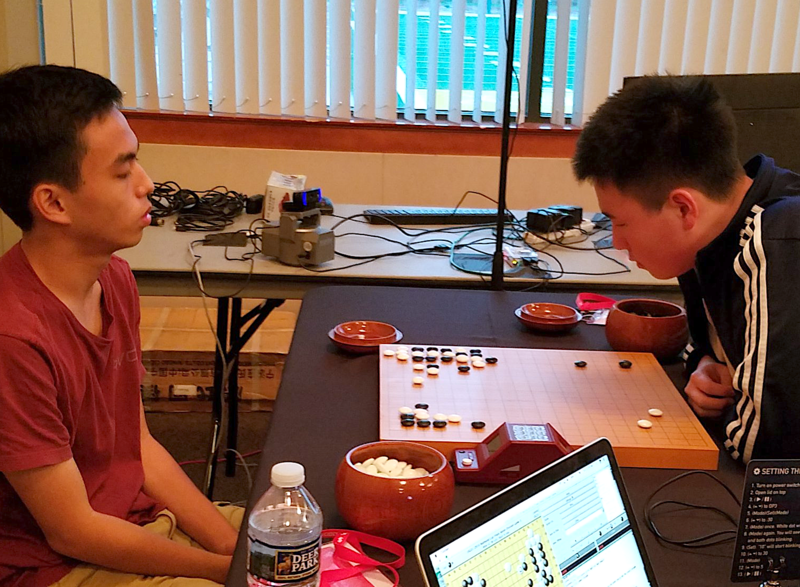 The key to this game was the opening: Yamashita Keigo (right), who had white, took advantage of a slack move by Iyama Kisei to seize the lead and was able to rebuff Iyama’s attempts to get back into the game. Black resigned after 164 moves. It’s unusual for Iyama, who usually starts slowly and carefully, to fall behind on the first day. The third game was played at the Olive Bay Hotel in the city of Saikai in Nagasaki Prefecture on February 2 and 3. Taking white, Iyama won by resignation after 252 moves. Iyama seemed to take an edge in the opening; Yamashita attacked aggressively, but Iyama kept control of the game. Yamashita eventually managed to start a large ko, but didn’t have enough ko threats to win it. 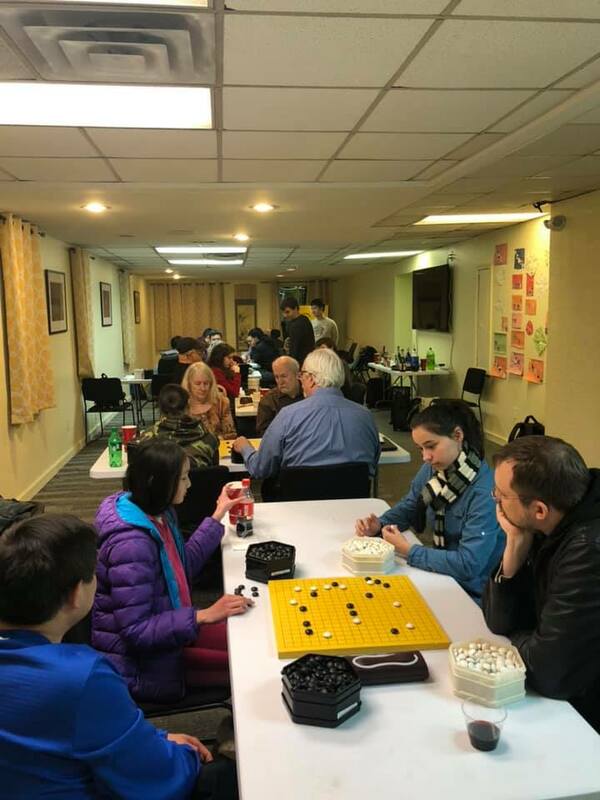 The fourth game was played at the Former Tanaka Residence in Kawaguchi City, Saitama Prefecture, on February 13 and 14. The venue is a house with a Western wing built in 1921 and a Japanese wing built in 1934. It was designated a cultural treasure in 2006. Taking black, Iyama won by resignation after 183 moves. Yamashita will face his first kadoban in the fifth game, scheduled for February 27 and 28. Fujisawa Rina attains historic goal: Fujisawa Rina reached a goal that has long been a target for women players. In a game in the first round of the main tournament (a knockout) of the 45th Tengen title, played on January 21, she became the first woman professional to win a game in the final section of a top-seven title. Playing white, she beat Takahashi Masumi 3-dan by resig. Starting with Honda Sachiko in 1979, ten women players had reached the final section, called “the main tournament,” a total of 12 times, but had lost in the first round each time. For Fujisawa, the 13th time was “third time lucky”; she had reached the main tournament in the 43rd and 44th Gosei tournaments. Four more wins and she will be the challenger. Incidentally, the number of seats in the main tournament varies according to the tournament from 16 to “around 32” (which means that some players may be seeded into the second round of the knockout). World Go Championship preliminaries: The international preliminaries for the thirdWorld Go Championship were held at the Nihon Ki-in in Tokyo from January 25 to 29. 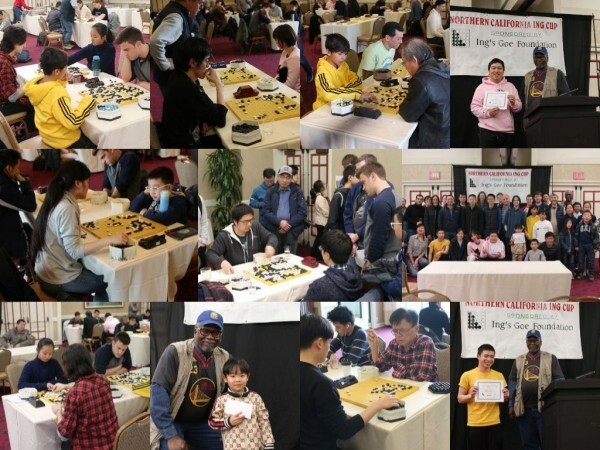 Eight-nine players vied for the three seats in the eight-player main tournament that were at stake. 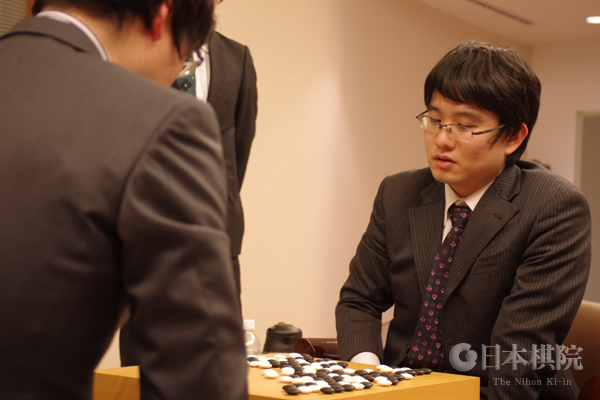 The senior preliminary was won by Yu Chang-hyeok 9P of Korea, who beat Yuki Satoshi 9P (Japan) in the final. Incidentally, Jimmy Cha (Cha Minsu) played in this preliminary; as far as I know, this is his first international appearance for some time. 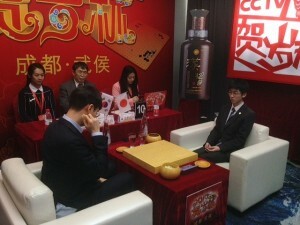 The gener al preliminary was split into two sections, both of which were won by Chinese players: Jiang Weijie 9P and Liao Yuanhe 7P. The eight-player tournament will start on March 18. Ueno Asami defends Women’s Kisei: As the current women’s number one, Fujisawa Rina looked like a tough challenger for the 17-year-old Ueno Asami (left), but the titleholder had other ideas. The second game of the 22nd Women’s Kisei title match was held in the Ryusei Studio at the Nihon Ki-in in Tokyo on January 28. Taking black, Ueno forced Fujisawa to resign after 243 moves. 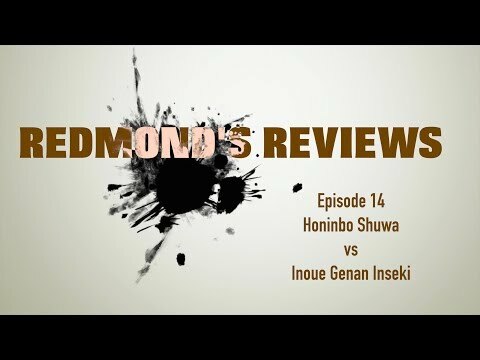 The game featured fierce fighting from start to finish, but Ueno showed that her surprise victory in this title last year was no fluke. Xie Yimin is still going strong, so the Japanese women’s go world looks like entering a period of three strong rivals.